This is the first review of this book I've read that has made me want to read it. We do all do that "I only I had .... I would be happy" thing, the way it's addressed in this book sounds interesting. I like the sound of everything not being black and white, good vs evil too, sounds a lot more realistic. I read a lot of reviews where people wrote that they couldn't believe someone so young would be so disillusioned. But I get it, even as someone in my twenties - the promise that going to the right college will get you the right job and you will marry the right person and be happy. But we all come to realize, sooner or later, that it doesn't work that way. 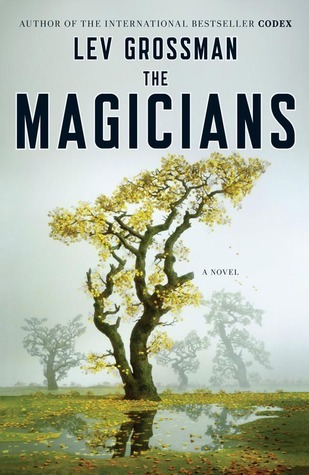 I absolutely loved THE MAGICIANS when I read it almost two years ago. It's got a whole boarding school vibe (which is my literary crack) plus the Harry Potter and Narnia-type bits and a lot of grit. I know a lot of people liked THE MAGICIAN KING, but I didn't think it was as strong as the first book. I'm hoping that the third book, which Grossman is writing right now, brings it all to a satisfying conclusion. "ultimately I thought it was an excellent look at the way the things we think will save us can actually damage us instead"
Thank you. Have you read the sequel yet?